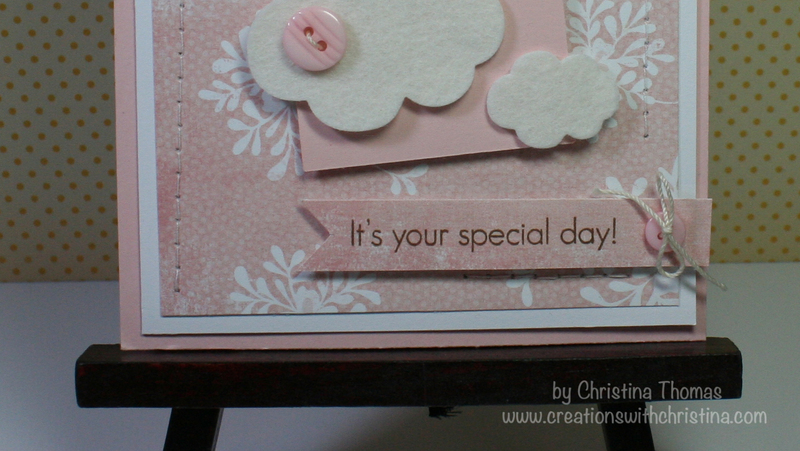 I'm happy to be back to video making and Stampin' on Friday. I have 3 birthday cards and 1 anniversary card to make for January so I can't wait for this weekend to get working. I've very much missed my craft room. My tripod came yesterday and I'm ready to roll out some new videos. You can see all the SOF videos HERE. 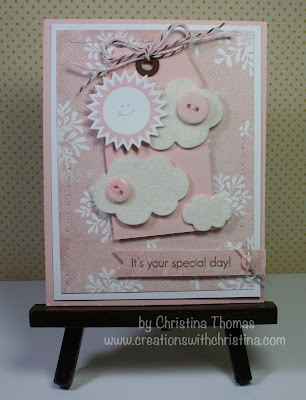 Such a pretty card....love that soft color palette....and love how you used the felt! What a good idea to use felt for the clouds. Very sweet card. I love the nice soft colors you used. Very nice!!! Thanks for sharing. I always enjoy your videos! Really cute card Christina. Love that Sweet Blush color. Happy New Year! Great card! I love the sweet blush color. 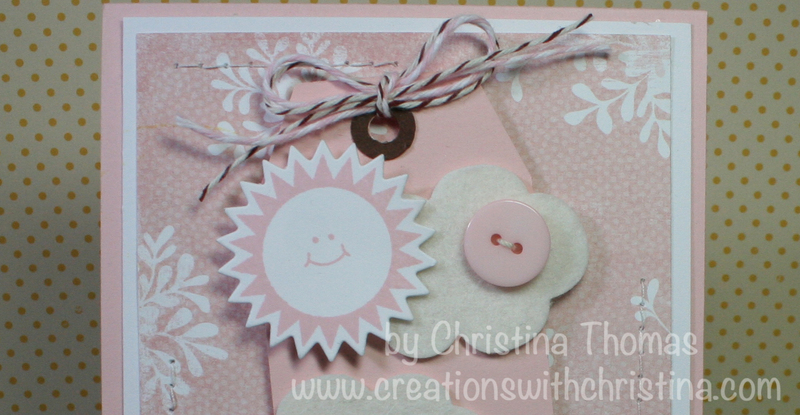 I am going to have to try their cardstock with my next order! What a pretty card. Love the softness of the colors you used. I love the look of your clouds. Lovely card. It gives the feeling of great joy and anyone would be glad to receive it. Nice card! Where did you get the bakers twine? 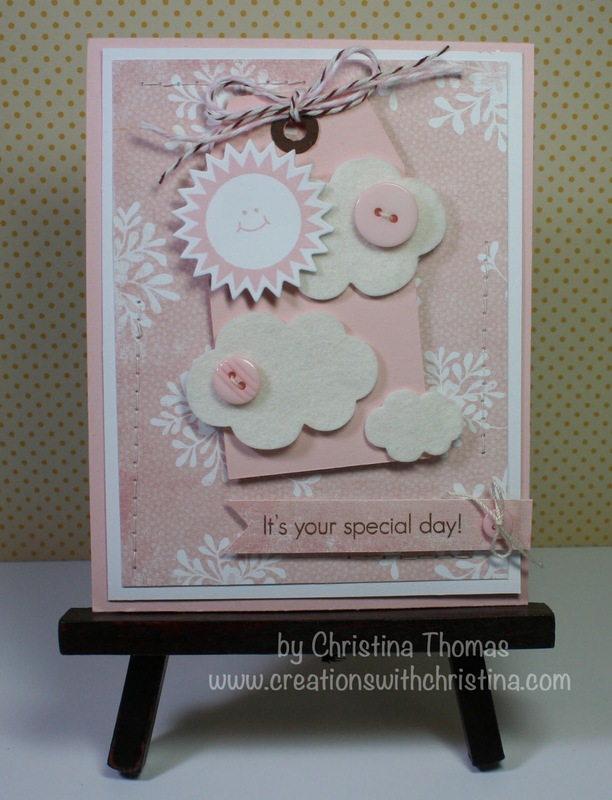 Such a pretty card,like how you used the felt!